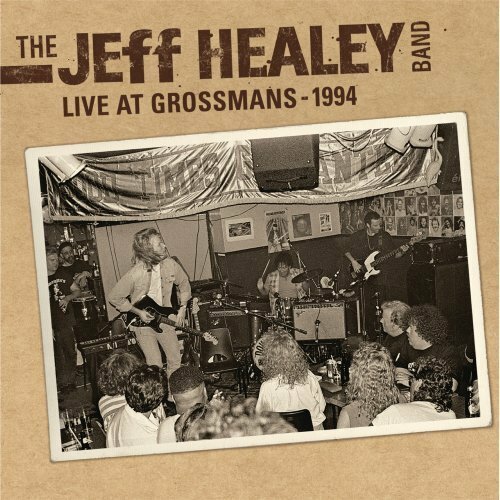 This was a live recording of the Jeff Healey Band’s performance at the Toronto tavern Grossman’s in April of 1994. The band included Jeff Healey (guitar & vocals), Joe Rockman (bass), Tom Stephen (drums), Pat Rush (guest guitar) and Michael Pickett (harmonicaphones). Many people only know Healey as the blind guitar player from the movie “Roadhouse” with the one hit radi o hit, “Angel Eyes,” which was classified as soft rock. But those same people will be in for one heck of a surprise when they hear this recording. It starts off with a fast version of “I’m Going Home” by Alvin Lee. They then slow it down with the Albert King tune “As the Years Go Passing By.” The pace then picks up with the always classic “Crossroads” by Robert Johnson. The highlight of the album has to be the extended jam session for “All Along the Watchtower.” It is like a roller coaster for all of the 11 minutes. There are nine classic blues tunes on this CD and none of them will disappoint once Healey gets on the guitar. Simply put, this CD is full of blazing blues. It’s amazing how a blind guitar player can hit each string with that much precision and power. You can just hear the hometown crowd’s reaction of every string bend or passionate lyric. This is a must have if you are a lover of the rocking blues!